Color:Hammered Steel | Size:Set of 8 Add more pots or utensils to your RACKIT UP pot racks with these handy and strong hooks. 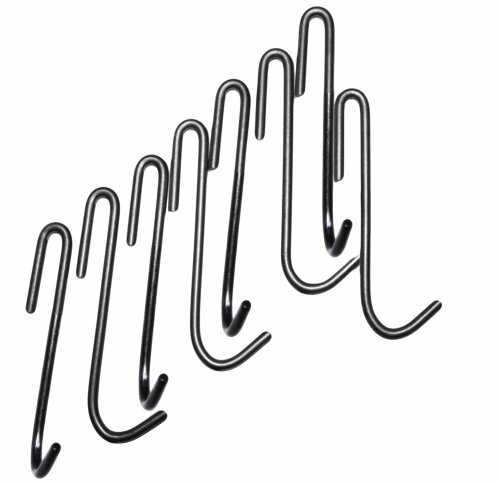 Set of 8 hooks; includes 4straight and 4 angle hooks. Steel with clear powder coat finish for extradurability.